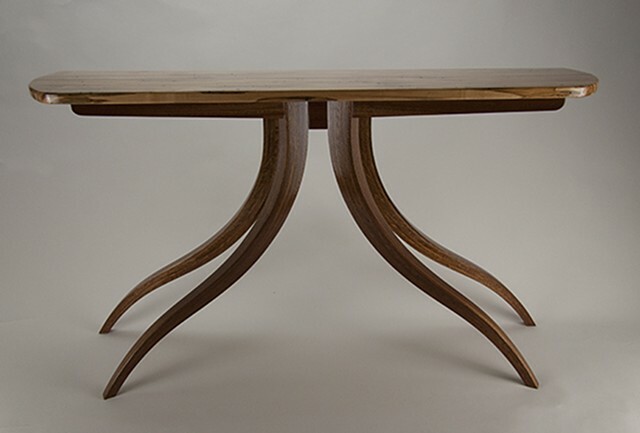 W 50", D 15", H 28"
This hall table has an ambrosia maple top and single tapered,bent, laminated sapele legs. The legs all join together at the top, and arms parallel to the legs extend out to support the top in a cantilevered fashion. The design was inspired by images of trees with prominent root and branch patterns.